Rainy days are just plain terrible. While gloomy, humid days are even worse, especially if you’re not armed with an umbrella. I found myself gallivanting in the rain to check out the newly opened Truxton Inn without said umbrella. While my hair was a mess, I was grateful that my rain flats did not fail me through the puddles. 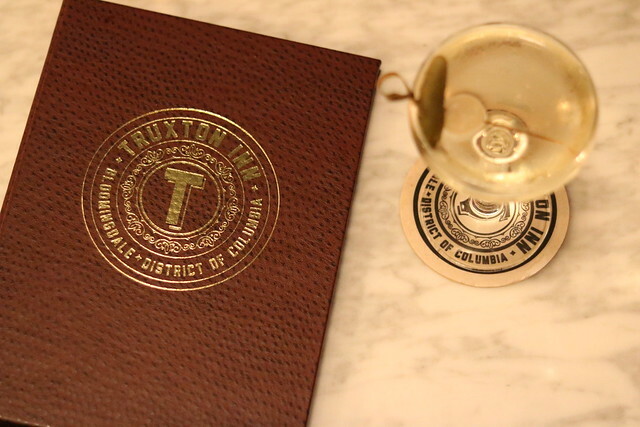 Truxton Inn is a charming cocktail bar in Bloomingdale that channels some serious hotel vibes. 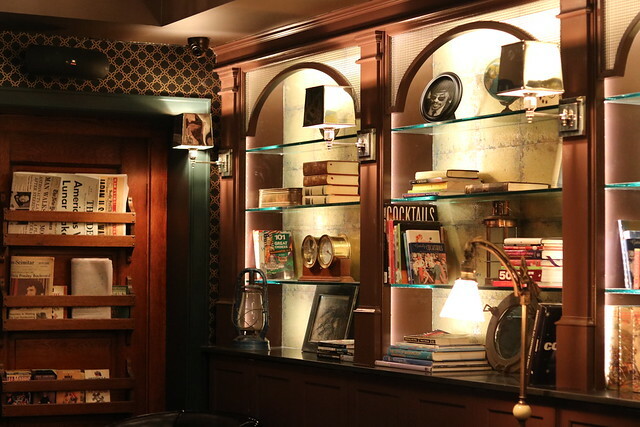 The Old World, travel theme is executed in nearly every capacity in the decor, with globes, lanterns, and old newspapers, picture frames, and vintage books throughout the space. It’s fashioned to feel as if you’re in a neighborhood bar that’s been a fixture for many years. It’s warm, intimate and inviting with antique seating, golden pineapple lamps, and quirky books available for browsing. A beautifully crafted green, marble bar wraps around the space. We enjoyed our evening speaking with Brian Nixon, who oversees the cocktail program at Truxton Inn, along with McClellan’s Retreat. It’s safe to say that Nixon is no stranger to the bar scene in D.C. When we sat down, he explained his favorite elements about working on Truxton Inn, especially from a design perspective. His passion and interest in creating quality, innovative cocktails stems from being just eight years old and preparing a highball for his grandfather. We knew we were in for a real treat with that kind of experience and dedication. 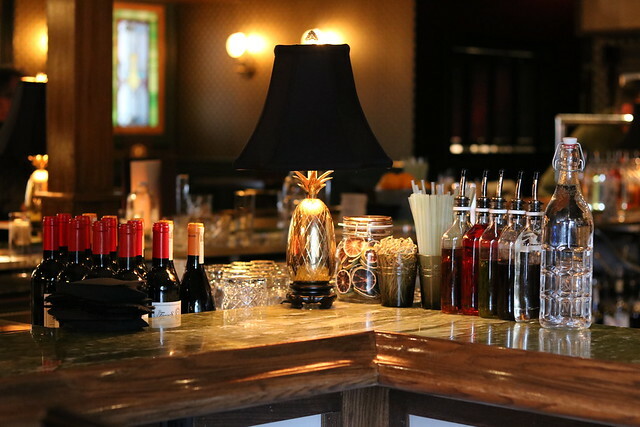 When we first walked into Truxton Inn, we immediately thought of all the respective dates we’d like to bring to this space, given that it’s a quiet, neighborhood bar where you can speak at a normal conversation volume. Truxton Inn is a mature choice for just about anyone, but especially for dates, happy hour with coworkers, or drinks with older folks who are hard of hearing. The menu is separated into two parts: recommendations and suggestions, with six offerings for each. Classic cocktails like an Old Fashioned, Negroni, and Manhattan are reinterpreted with Nixon’s twist as recommendations. The menu changes every two months and incorporates seasonal flavors. Having just come back from a long vacation, the “JFK on Vacay” cocktail was spoke to me. 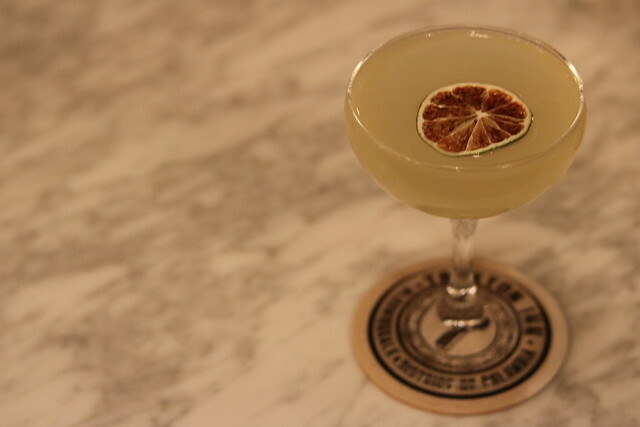 It’s essentially a play on a daiquiri with tropical flavors. This deliciously tangy cocktail uses Maui pineapple rum, passionfruit, lime, and house-made mulled simple syrup served in a coupe glass. Nixon recommended the short commute for my date, Sunny. Because who wants a long commute? Not this gal. Rittenhouse rye, Amaro, chocolate bitters, and Cloosterbitter are served on the rocks. As someone who frequently consumes Old Fashioneds, this was right up her alley. Next, I ordered the Congressman’s Lunch. I’m not sure what I was thinking as I don’t care for martinis. Thankfully, I had the choice of gin or Civic vodka from my favorite women-owned distillery, Republic Restoratives. I opted for gin, as I usually do. 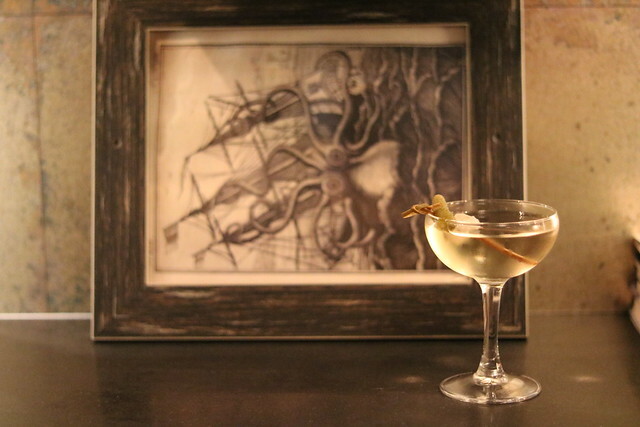 The stunning cocktail comes adorned with a pickle brine from Gordy’s, appropriate for a Congressman’s lunch. The cocktail was too strong for my taste buds, but the savory sherry and lemon bitters did make it more appealing. Sunny went for the “Crossroads” cocktail next, essentially a Vieux Carre with El Dorado rum, benedictine, angostura, and tiki bitters served neat. The bright orange cocktail was perfect for a rainy day. At this point, I tapped out as I desperately needed nourishment. We ended the evening with a “No Se Groni,” or a Negroni, as it’s referred to. With Mezcal and Aperitivo served up or on the rocks, you just can’t go wrong. Cheers! 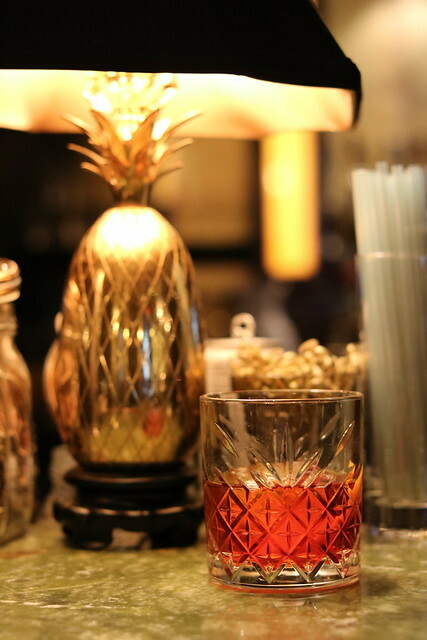 To a charming cocktail bar with old world vibes that will inspire you to plan your next globetrotting adventure.